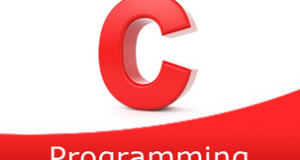 C Program to right rotate an array – In this article, we will detail in on the various means of how to right rotate an array in C programming. An array is a sequential collection of elements in a horizontal fashion. The elements in an array are defined by the user themselves. As you can see in the image uploaded above, firstly, you need to enter the size of the array. The size of the current array mentioned is taken to be 5. Later, enter the elements into the array. Then, mention the number of times to right rotate. In this pic, the number is 4. Read the array size and store the size into the variable n.
2) Read the entered elements and store the elements in the array a as scanf(“%d”,&a[i]) using for loop. 3) Read the k value which represents how many times right rotate the array. a) Store the last element into the variable temp. move the a[j-1] to a[j],repeat until j>0. c) Initialize the temp value to a. 5) After completion of the 4th step, we will get the right rotated array. temp=5 and j=4 then a=4,a=3,a=2,a=1 and a=5.Then the array is 5,1,2,3,4.
temp=4 and j=4 then a=3,a=2,a=1,a=5 and a=4.Then the array is 4,5,1,2,3.
temp=3 and j=4 then a=2,a=1,a=5,a=4 and a=3.Then the array is 3,4,5,1,2.
temp=2 and j=4 then a=1,a=5,a=4,a=3 and a=2.Then the array is 2,3,4,5,1. The main() function calls the rightrotate() function by passing array,size of the array,the k value as arguments. for loop iterates from i=0 to i<k.k represents how many times right rotates the array. a) Initialize the last element to temp. Move the last element to first. Repeat this step until j>0. 3) The main() function calls the print() to print the elements of the array which is right rotated.